EVO Collaborator Mobile (ECM) is a web-based component within EVOServ. It offers better user experience of self-help when they are about to view or make changes to their account information. To certain extent, it alleviates burden off administrator’s shoulder. Through ECM web browser interface on their smartphones and mobile pads, users are able to make certain changes for their own mail accounts, make queries on shared contacts, and access both private and public files on the private cloud storage. Though Outlook gives users great benefit on sending and receiving e-mail messages, it does not allow you to change password, modify and turn on/off auto-reply, modify auto-forwarding list on server end. It is time for users to change what they are allowed to with delight. ECM provides query service for authorized users. They can even tap on the search result and dial out. If users turn on GPS feature within ECM on their smartphone, then you are also able to track colleagues’ geological location. You can upload private, department, or domain –sharing files to ECM’s cloud storage. Whoever that has privileges of accessing what you have just uploaded can easily view it so to collaborate on tasks. This feature really enhances efficiency. 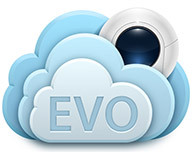 EVOServ contains a pre-configured and working Roundcube Webmail client by default. Moreover, this pre-configured version integrates CardDAV plug-in and password changer plug-in for every user.